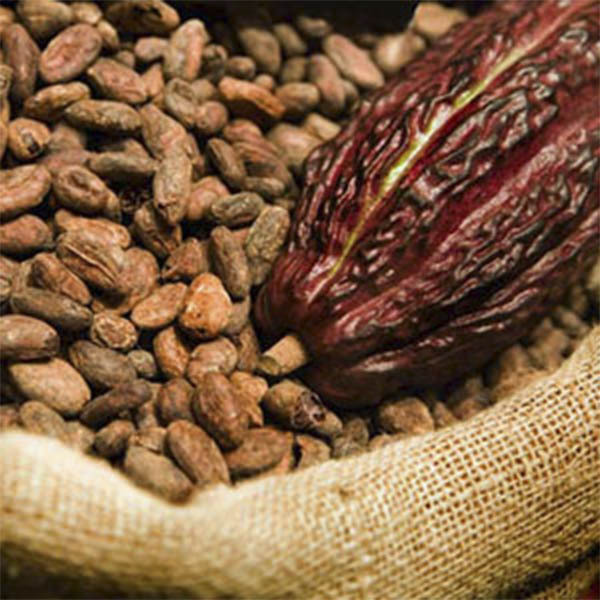 Cocoa beans have shown amazing health benefits, therefore, aging, since in its composition containing magnesium, chromium, iron, vitamin C, omega 6 and fiber, besides being very rich in flavonoids, which are chemical compounds found in plants that protect the body from oxidation that causes decay and cellular aging. Native South America – Marañon or Amazon Basin. The cocoa or cacao are treasures brought by the Spanish conquistadors in the early sixteenth century. The Aztec emperor Moctezuma called it as “Food of the Gods”, as this brown grain only were consumed by the warriors and the elite. Some ceramic recipients has shown residues of cacao, this recipients founded in archeological sites date back 1900 – 900 BC. The diuretic effect of theobromine is accompanied by an anti-inflammatory action on the kidney, so it is recommended in cases of nephritis and nephrosis. Overall, cocoa is invigorating and slightly stimulating, but in large doses or in sensitive individuals, can cause insomnia and tachycardia. Cardiovascular disease prevention, control and cure prostate and colon. Its antioxidant, prevents and cures certain diseases like diabetes and osteoporosis. Cocoa is one of the richest foods in polyphenols. These are a group of antioxidants that are found in many other foods like teas and wines. Scientific investigations on this foods demonstrate cardiovascular health benefits. The cosmetics industry (skin), powder (dried seeds, roasted and ground) is used as the base of chocolate. It is used in confectioneries, pastry and in the manufacture of all kinds of chocolates. 10 kg/bag, and 2 bags with 10 kg/box and 25 kg bag as well. Mentioning: Product name, Weight, Manufacturing date, Manufacturer name, Batch number, Origin. Best before or expiration date.